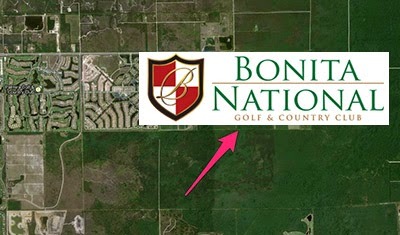 Bonita National is a new bundled golf community (golf included) under construction in Bonita Springs, just North of Naples, Florida. Bonita National Golf & Country Club offers a 18-hole championship golf course designed by Gordon Lewis. Bonita National will offers Terrace Condominiums, Veranda Condominiums, Coach homes, Executive, Manor & Estate Homes. Only coach homes and single-family homes have been released as of today.